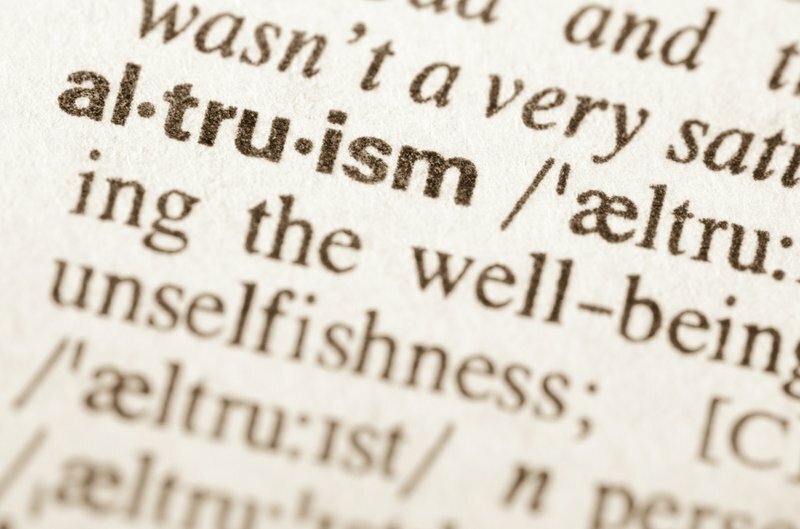 Can ‘effective altruism’ really change the world? We must transform the world, not simply make choices that appear to be rational within the current global order. Scott Weathers responds here. Credit: www.shutterstock.com/aga7ta. All rights reserved. Let’s imagine you have some spare cash to give away and you want to do something useful with your money. Should you spend it on food for starving children or vaccinations in refugee camps? Mosquito nets or courses in financial literacy? Animal rights at home or carbon off-setting in Latin America? Or a ballet school for disadvantaged kids from a slum because you’ve always liked to dance, and beauty helps to fight the ugliness of the world? Whatever your whims or good intentions, there will be lots of organizations that tell you to support their cause because it’s the most important or urgent or compelling. But a new movement called ‘effective altruism’ claims that there’s a more neutral and ‘scientific’ approach to the thorny questions of philanthropy. Promoted by philosophers like Peter Singer, William MacAskill and others (along with Facebook co-founder Dustin Moskovitz), the basic premise of this movement is simple: when people want to give money to good causes, they should try to do so in the most effective way. ‘So much more could be done,’ argue the effective altruists, to help those who are ‘less fortunate’ in the ‘natural lottery’ of where and when they are born. This approach leads naturally to a focus on saving lives in lower-income countries where conditions are most acute. But there’s no agreed or universal definition of ‘most effective’ in the world of social change: how do you measure, let alone compare, the impact of regime change in a dictatorship, for example, the reduction of factory farming, and better schooling in rural India? Can you even put a price tag on such things when relatively simple metrics like “quality-adjusted life years” (this movement’s favourite measurement) lead to huge controversy among philosophers and economists? And even if these thorny issues could be resolved, is it realistic to expect people to spend large amounts of time evaluating every different option, or does this make the exercise of morality too burdensome? Effective altruism starts from a picture in which individuals with money to spare choose between different options in order to ‘maximize their utility’—to do what gives them the greatest satisfaction according to a narrow definition of what that means. This is the same picture that one finds in many economics textbooks, except that in most economic models, utility only encompasses self-interest. By contrast, in effective altruism it includes the wellbeing of other people, animals, and the environment. What’s missing from this picture is something deep and important about human life: the ways in which social structures shape people’s decisions, habits and preferences. The concept of ‘economic man’ has often been criticized for being utterly unrealistic: human beings are far less rational than utility theory suggests, and they have a far broader range of motivations. How they behave depends on the social settings in which they find themselves. But being a moral agent means much more than donating money to far-away places, important as that may be. As philosophers from Aristotle to Hegel and Marx have argued, and as the best evidence about human nature from history and psychological research confirms, human beings are social and political animals. They live in social structures that are inherited from the past. Habits, narratives, and emotions play an important role in maintaining these structures, which are undergirded by formal institutions and practices including those that regulate access to property rights and power. Such institutions are very difficult to change, not only because human beings are creatures of habit, but also because there are powerful vested interests that want to keep the current order in place. But they are not set in stone. They are designed and maintained by human beings, and it is up to us, collectively, to re-order them. Because of its focus on the ‘rational choices’ of individuals within the current system, this is the point that effective altruism misses or ignores. This alternative approach has one thing in common with effective altruism—it can be very demanding: we can’t simply go on living our lives, but instead must take responsibility for the world around us. What’s different is that it acknowledges the need to transform the underlying structures of self and society if change is going to be effective. Therefore, one of our greatest responsibilities is to address the structures of capitalism-gone-wild that are doing so much harm. This is one of the observations that Angus Deaton, the Nobel Prize-winning economist, makes about the effective altruism movement. This doesn’t mean that people should stop donating money, and when they do it’s important to ask what they support and why. The effective altruists are right to raise that question. But when we look for answers to it we have to evaluate the causes of the problems that concern us, and pay attention to the ways in which different actions help or hinder the development of new institutions, challenge power structures, and strengthen the moral and civic capacities of individuals who are disenfranchised and exploited. That's the only way that altruism could ever be effective in the transformation of society.